This site contains affiliate links. Click here to read my disclosure policy. For many years, eating fat was a no-no. We were told to eat low-fat foods and instead began the unhealthy journey into overly processed foods that have done nothing but make us fat. Newer research shows that eating fat actually help you lose fat! How? Fat can aid in weight loss by boosting your metabolism. We need to be careful here, though. We need to include healthy fats to lose weight and live a healthier life. The following information is based mainly on my reading of “Radical Metabolism: A Powerful New Plan To Blast Fat and Reignite Your Energy in Just 21 days” by Ann Louise Gittelman, PhD, CNS). According to Gittelman, there are 5 basic rules to revamping your metabolism and reigniting the fire that keeps you healthy and lean. Obesity is a national health crisis. This is a major health crisis! More than ⅓ of all US citizens are considered obese. The rates of Diabetes and Alzheimer’s is skyrocketing. In 2015 the life expectancy in the US dropped with heart disease, stroke, Alzheimer’s, Diabetes and Kidney disease topping the list of killers. If that is not scary enough, one in two women and one in three men will develop cancer once in their lifetime. So, you may be wondering how eating more fat ties into the obesity epidemic. You may ask yourself why most people who despite doing everything “right”, still struggle to lose appreciable weight and live a healthy life. In order to really how your metabolism works, we must understand that metabolism starts within each and every cell. If cells are damaged in some way, then metabolism suffers. This affects everything in your body just about. Your metabolism is responsible for digestion, taking nutrients in and getting toxins out. A toxic metabolism occurs when hormonal pathways are disrupted, toxins accumulate in the body and cause inflammation. This creates the perfect storm for obesity and many other illnesses. While some may think that they are destined to be a certain way because of their genes, the field of epigenetics studies how genes can be flipped on or off based on outside factors: nutrition, emotions, lifestyle. These factors are tied to cell membrane damage which is also closely tied to insulin resistance, difficulty losing weight and inflammation. When this happens, the body cannot eliminate toxins properly, ultimately leading to disease. One of the crucial components of a healthy diet is including essential fats. Fats are crucial for cellular formation, hormonal formation, and the nervous and circulatory systems. Fat is less the enemy to getting “fat” than refined sugar which boosts insulin levels and causes other problems. One way to boost metabolism is to shift from a primarily sugar burning system to a metabolism that can easily convert fat to energy. We need to be able to shift from one fuel system to another. What happens when we are always burning carbs, we lose the ability to burn fat for fuel. A sugar fueled system increases insulin production, which in turn increases craving for more carbs. Overeating then causes storage of visceral fat – fat surrounding vital organs, producing free radicals generated, oxidative damage and inflammation. Therefore, to boost metabolism and weight loss, healing must occur at the cellular level with a diet that is filled with the proper fats in the right proportion. Omega-6 fatty acids are essential Fatty Acids (EFA), meaning our body’s are unable to make these on it’s own. Essential fatty acids are super important for all kinds of functions within the body, including cell membranes. While Omega-6 fatty acids have been given a bad rap in recent years, not all are created equal. In fact, our body needs a ratio of 4:1 healthy Omega-6 fatty acids to Omega-3 fatty acids. Removing Omega-6 fatty acids completely from a diet will not only expand your waistline by reducing the fat burning metabolism, they also reduce overall inflammation. While “bad” Omega-6 fatty acids will actually weaken the cell wall – hence health problems associated with high intake of these, there are healthy fats that actually benefit your cells and metabolism. The good news is that there are great options to incorporate these much needed fats into your diet to benefit from all of the health benefits! The all-star players are Linoleic acid (LA), Alpha Linoleic Acid (ALA), gamma-linoleic acid (GLA) and conjugated linoleic acid (CLA). Important to note, these oils to retain their health benefits must be pure, non-heated, unprocessed, organic, non-GMO to retain health benefits. LA is necessary for cell health, again the basis for all bodily functions, including metabolism and cardiovascular health. ALA which comes from plants such as chia seed, pumpkin seed and flax, can be used by the body to make EPAS and DHA, two Omega-3 fatty acids known in fish oil. ALA is really known to help autoimmune conditions (Lupus and RA), as well as cardiovascular and respiratory problems. Evidence also suggests ALA may reduce cancer cell growth in certain breast cancers. Linoleic Acid (LA)– essential for cardiovascular system, heart health. Found in hemp seeds, sunflower seeds, sesame seeds, pine nuts/oils, walnuts, pecans, brazil nuts and grass pastured dairy. Alpha-Linolenic Acid (ALA)– Energy boosting EPA/DHA – 85% of this is used immediately for energy, while the rest replenishes cell health. ALA is found in flax seed, pumpkin seeds, chia, walnuts, hazelnuts, leafy green veggies, butternut squash, brussels sprouts, kale, watercress, algal oil, cashews. Gamma Linolenic Acid (GLA) – GLA is a fat burner which activates brown fat, dormant fat with mitochondria (power house structures in the cells), increases serotonin increasing fullness feeling, reduces inflammation, lowers blood pressure, decrease PMS symptoms, decreases inflammation and helps with skin suppleness. GLA is found in black Currant seed oil, evening primrose, hemp seed, acai berries. Conjugated Linoleic Acid (CLA) – a critical Omega 6 that is very effective at shedding belly fat, inhibits enzyme called lipoprotein lipase which is involved with fat storage – reduces belly fat, activates brown fat. CLA can be found in safflower oil, sunflower oil, beef, cows Milk, cheese (grass fed, swiss and colby), butter and egg yolk. You can also find CLA in this weight management product that I have personally used with great result: Trim – CLA and Hyaluronic Acid Supplement These fatty acids will help to boost metabolism and fight fat! Nuts and seeds are the core staple of food items that can provide these nutrients and help you to lose weight, while staying healthy. Other than supplementation, the best way to get higher levels of CLA from your diet is through pasture raised beef and dairy. Beware of the sources of these foods, as packaging of conventional foods is sometimes deceiving. 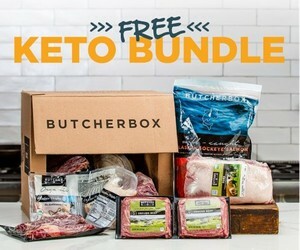 A great way to get quality beef and dairy delivered to your door if from Butcher Box. Seeds and cold press oils – Hemp seed oil is a superstar, Black seed oil regenerates pancreatic cells and has the benefit of killing MRSA (a bad staph infection). Hemp seeds – protein equal to beef and more digestible, complete protein, an essential amino acids, a 2-3 TBSP serving has 30 g of protein. Coconut oil – a medium chain triglyceride (MCT) that goes right to liver made into ketones for energy, boosts thyroid function, improves digestion, 50% lauric acid which boosts immune function and is known for anti-aging benefits. Olive oil does not provide Omega-6 or Omega-3 fatty acids, but is high in polyphenols, an antioxidant. Careful what kind of olive oil you purchase, most of the oils are fake today, very oxidized and have no health benefit. Grass pastured beefs, poultry and dairy, cold water fish are on the list of foods that boost metabolism. They have a superior fatty acid profile, more nutrients, less growth hormones, and higher CLA, glutathione, vitamins and mineral contents. Salmon caught in fresh water, not farm raised, is one of the richest sources of Omega-3 fatty acids. Stay clear of sushi because of the risk for parasites. Do not use GMO oils, or oils are oxidized as these are damaging. Choose oils in dark bottles, cold pressed, organic and minimally processed. Canola and peanut oil and trans fats are problematic. Only certain oils are high heat cooking – Try, Red palm oil, Tigernut oil, Hazelnut oil, Macadamia nut oil, Avocado oil, Coconut oil, Sesame oil and Walnut oil. I have personally used both Avocado and coconut oil for higher heat stove-top cooking with great results and have switched to higher quality olive oils for adding to salads.